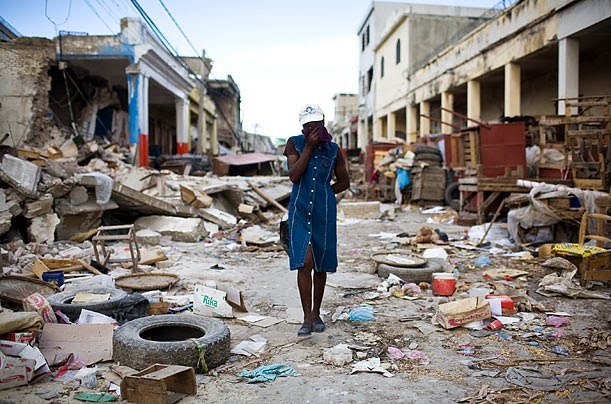 Three days ago (January 12th) marked the fourth year anniversary of the massive 7.3 earthquake that shook Port-Au-Prince, Haiti. For “developed” countries of the world, a 7.3 earthquake would not have devastated a country to such a degree as it did Haiti, and most of these would have recovered fairly quickly. Yet Haiti was utterly devastated – one could even say, completely paralyzed. So why did the earthquake manage to take down literally a whole country? And why is so little progress done in the aftermath? Scars on the human body take decades to heal if we are lucky, but often we are stuck with them for life. For a country, however, the scars left behind by foreign supremacies may take centuries to truly heal. The earthquake’s treacherous consequences were unfortunately the result of the scars left behind by the abuses of Haiti’s initial oppressors. Yes, all those years ago (Haiti won its independence in 1804). What followed the departure of France from Haiti was: initial bliss soon followed by thievery, exploitation of Haitians by Haitians, and all kinds of corruption. The revolution that set Haiti free was no tranquil, peace-loving event. Historians have estimated the slave rebellion resulted in the deaths of 100,000 slaves and 24,000 of the 40,000 colonists. Jean-Jacques Dessalines, who was the first leader after the revolution, and who was proclaimed “the Emperor for Life” by his troops, was no different than the previous power. At first, he offered protection to the white planters and other foreigners; but once in power, he ordered the massacre of most whites, without regard to age or gender. He soon tasted his own medicine: in the continuing competition for power, he was assassinated by rivals on October 17th of 1806. This nouveau culture libre unfortunately persisted until the time of the earthquake. It was exploitation and abuse, and the poverty that has come from being treated like non-humans that drove the people to such circumstances as, for example, using 1/15 portions of cement per volume in buildings, rather than the American standard of 1/4. Cement is expensive; if less is used, well, that’s a saving! More money for us! I learned this piece of information from the American engineers I assisted while I was in Haiti, immediately after the earthquake. No one would have predicted such a devastation and desolating outcome. When a foreign power comes in with the sole intent to dominate for the sake of gain rather than come for the sake of the good of the other, what happens is a nearly complete destruction of the other’s cultural heritage and self-respect. Coming from a Polish family myself, I can very well attest to the damage that the Soviet Union did to Poland and the other countries of Eastern Europe. Even today, Poland has not recovered from its forty-five plus years of Soviet occupation (not to mention 123 years of occupation before World War I). Current leaders are almost all ex-GKB agents or ex-Communist party members. Such long-inflicted wounds penetrate to the very marrow of the people. When the identity of a people is nearly eliminated, this leaves subsequent generations in a terrible state. When the foreign power leaves, those left in control are deeply scarred individuals. Much of the cultured, the educated, the good-hearted and just, were long ago disposed of by the previous tyranny because they posed a threat to the “new establishment”. New generations were raised without knowing who they were, while soaking in the abuses of the foreign government. The country is left worse off than when they were occupied; for one reason or another, these new generations are even more ruthless towards their own than their previous foreign masters. This phenomenon is by no means only limited to Haiti or to ex-Soviet states. Let us look at the East. Afghanistan and Iraq were functioning countries before foreign powers got their hands on them. 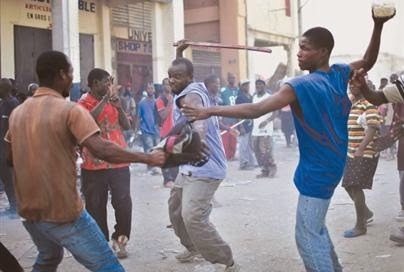 The Haitian leadership in these last decades has still been reaping the rotten fruits of the slave industry. There is no easy “fix” to this problem. I do not believe the solution is to bring in foreign help to do all the work – that has been shown to cause more evil than good. The people have to have the desire to reverse the evil done to them – they must have the motivation and courage to be the change that they desire to see. Throughout history we have seen such people, those who have truly changed something. The man who played a crucial role in abolishing slavery in the United Kingdom, William Wilberforce (1759 – 1833) is a good example. In reality, scars will never heal without forgiveness and hard work. As Nelson Mandela has showed us so valiantly with his own life, we must first forgive those who have done us wrong as well as those who are still doing us wrong. Next, driven individuals whose vocation is to give their lives for the cause of rebuilding are desperately needed. Such zealous individuals are certainly rare, but they do something very important: they stimulate hope in the people around them, and hope is the driving force behind authentic change. Hope gives meaning to people; they see that change is possible. Slowly the attitude changes in a country – kids are raised with a different mindset. The snowball effect does the rest. Let us pray that God gives us leaders that have a true fear of the Lord (that is, humility), that are just and at the same time, merciful, and that truly seek the good of the people. Scars can yet heal.